“Think Fast,” the penultimate episode of this fourth season of The Flash, peaks early with one of the best action/effects sequence in the show’s history. 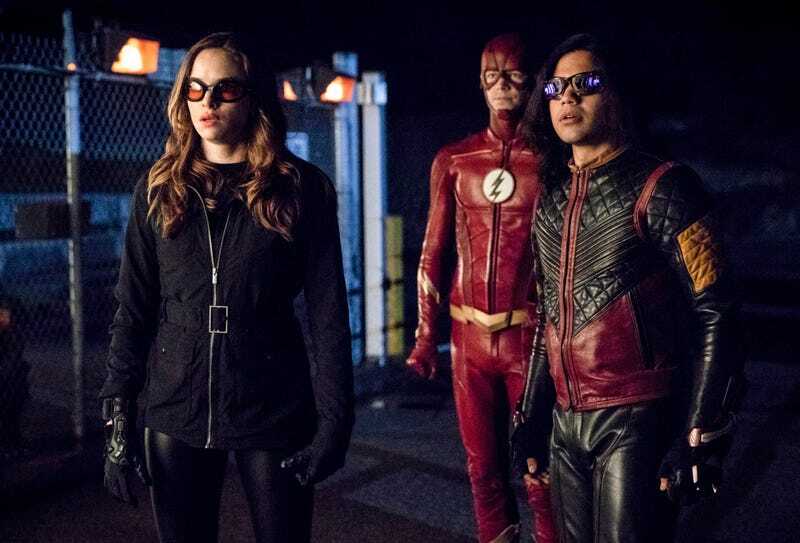 After DeVoe gains entry to an ARGUS black site by posing as John Diggle (I understood everything about this except how he knows the counter-password to “Elvis Banana” is “Hendrix Spaghetti”), director Viet Nguyen treats us to the CW-verse version of one of those Netflix/Marvel hallway fights. DeVoe calls upon his full array of powers to fight off the ARGUS forces, from shrinkage to elasticity to breaching to shooting rays from his hands. It’s a symphony of super-villainy, and easily the highlight of this Big Bad’s run on the show, as it serves as a thrilling demonstration of just what Barry and the gang are up against. That the rest of the episode doesn’t live up to the opening isn’t surprising, but for the most part it’s a decent hour of The Flash. Almost all of the main characters have their moment to shine, which is increasingly a rarity. Starting with the least essential storyline, Joe and Cecile deal with a most unusual pregnancy complication as an increase in her body’s relaxin hormone transforms her mind-reading ability into a full-blown personality transfer, first with the pizza delivery guy and later with Caitlin and Joe. Danielle Nicolet has some fun taking on the different personas, and the payoff for Joe’s knowledge of Lamaze puts an amusing button on what is a largely inconsequential side trip. David Ramsey’s appearance as Diggle ends up being little more than a cameo, although it’s nice that Team Flash is prepared to greet him with a bucket after his super-speed trip to Central City. Caitlin’s quest to reclaim Killer Frost takes an unexpected turn when she recovers a memory fragment of a childhood bike-riding accident. When Cisco vibes her into that lost moment, she catches a glimpse of her childhood self looking rather Frosty, meaning her meta power long predates the particle accelerator explosion. That actually makes her obsession with restoring Frost a bit more plausible, as she must have been aware on a subconscious level that her alter ego has been a part of her for much longer than everyone thought. The main objective this week is to prevent DeVoe from harnessing Fallout’s nuclear power to launch his satellites and bring about the Enlightenment while also saving the half-dozen ARGUS guards suspended above the facility’s deadly electrical plates. The only way to accomplish this task is for Barry to pull Caitlin and Cisco into the Speed Force with him (Remember how there used to be a surplus of speedsters on this show? They’d all come in handy now, huh? ), which leads to a lot of Barry angst about not wanting to put his friends in danger. That ship sailed seasons ago, buddy! The strangest part of all this is that Cisco and Caitlin are able to convince him they can pull it off with a little more training, after which point there is...no more training. They head directly to the ARGUS site to do it for real. I guess it’s the thought that counts? They’re able to pull it off, not that it matters. After Barry stands idly by listening to DeVoe’s Nietzsche quotes and other villainous philosophizing about the uselessness of emotions, the Thinker breaches away to STAR Labs and hijacks one of their satellites to replace the one Barry destroyed. Seriously, dude, you could have snatched him away in mid-sentence and let him finish his monologue in a pipeline cell. Next week could have been a full hour of baby-birthing drama. 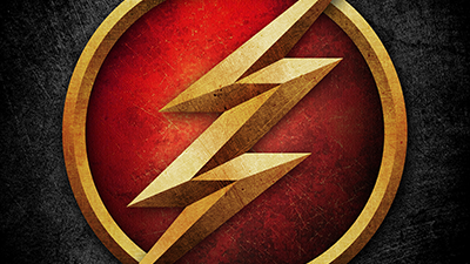 Instead, the Enlightenment has begun and Team Flash now has 60 minutes left in the season to stop it. No one is sure how to do that except dumb ol’ Harry, who knows they can turn Marlize because she’ll want to try to save the man she loves inside the monster. I enjoyed the pairing of Harry and Iris (excuse me, West-Allen) this week; they’re an underused duo, and Candice Patton’s cheerful exasperation makes her a good foil for Tom Cavanagh’s slapstick take on IQ-diminished Harry. As much as the storytelling often makes me roll my eyes, the characters sometimes still come through to save the day. I have to admit, I’m dreading that the finale will lean a little too hard into a love-conquers-all resolution. Dr. Finkel is pretty much treating Team Flash in its entirety at this point. And she’s wise to charge by the quarter-hour.